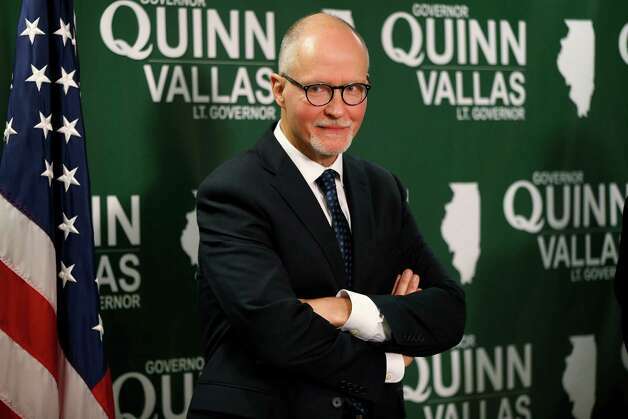 The Sidebar: Did Paul Vallas, now running for IL Lt. Governor, fabricate bogus numbers for the Save-A-Life Foundation, the tainted nonprofit now under investigation by the IL Attorney General for "the possible misappropriation" of $9m in fed/state funds?? Did Paul Vallas, now running for IL Lt. Governor, fabricate bogus numbers for the Save-A-Life Foundation, the tainted nonprofit now under investigation by the IL Attorney General for "the possible misappropriation" of $9m in fed/state funds?? Paul Vallas -- now running for Lt. Governor of Illinois -- appears to have fabricated claims on behalf of a now-defunct nonprofit that since November 2006 has been the subject of dozens of media exposes all over the country. SALF went belly-up in 2009, but reportedly has been under investigation by the Illinois Attorney General since 2010. Since its establishment in 1993, the (nonprofit Save-A-Life Foundation) pledged to teach school children first aid and emergency response practices. Despite receiving nearly $9 million to fund the program, however, very few records of students being taught have been found. (Carol) Spizzirri launched a nonprofit organization dedicated to teaching children emergency response techniques, raising at least $8.6 million in federal and state grants for her Save-A-Life Foundation (SALF)...(Spizzirri) estimates 2 million children took the classes, many of them from the Chicago Public Schools. However, in response to a federal court subpoena (submitted by my attorney during the course of a failed nuisance lawsuit filed by SALF against me and two others) and my multiple FOIA requests, the Chicago Public Schools cannot produce a single training record. Vallas's PSA for SALF claiming "the Save-A-Life Foundation has trained over 400,000 Illinois children and adults in the lifesaving skills of first aid, CPR, and the Heimlich maneuver and they can train you." Paul Vallas's approval of Save-A-Life program touted to Philadelphia Schools by SALF, four months after ABC7 Chicago exposed SALF frauds (page down); note bogus training claims. (7:35) Gery Chico: "How many schools have you said that you've been in with this program?" Carol J. Spizzirri: "I think we've been in a dozen we've completed." Spizzirri: "It's at 75 cents a child. Except it's a dollar for the instructor."